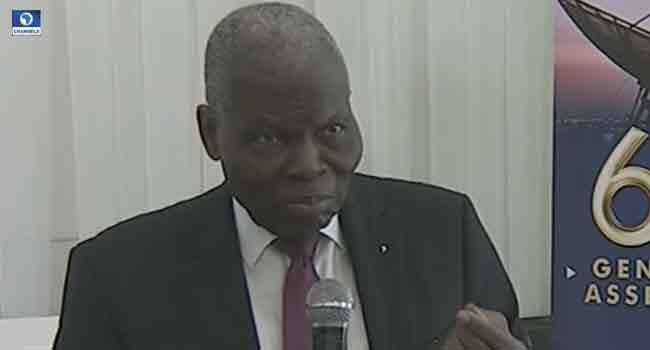 Former Nigerian High Commissioner to the United Kingdom, Professor Christopher Kolade, has warned Nigerians of the dangers of hate speech, stressing that all hands must be on deck to tackle its menace. Mr Kolade stated this on Wednesday during the 66th General Assembly of the Broadcasters Organisation of Nigeria (BON) in Lagos. Speaking on the theme, “Hate Speech and the Nigerian Broadcast Industry,” Kolade maintained that hate speech if not addressed could hinder the nation’s unity. “Hate speech is injurious to our joint endeavour. We know that hate speech can jeopardise the success of what we want to do together,” he said. According to the former envoy, hate speech wreaks havoc on fostering unity as backed by the nation’s constitution. The BON Assembly is a gathering of key stakeholders in Nigeria’s broadcasting industry to brainstorm on how to make next year’s general election conducted without stress. Kolade blamed the liberalisation of the broadcasting world on the creation of the social media. He, therefore, implored broadcasters and key players to communicate effectively with the public in a responsible manner. The former envoy strongly believes that the problems associated with hate speech can be effectively dealt with by media professionals. With the general elections less than a year from now, Nigerians expect that these efforts put together would pay off especially when proper campaigns take place across the country later in the year.